Playing catch in the backyard is one of the joys of summer. 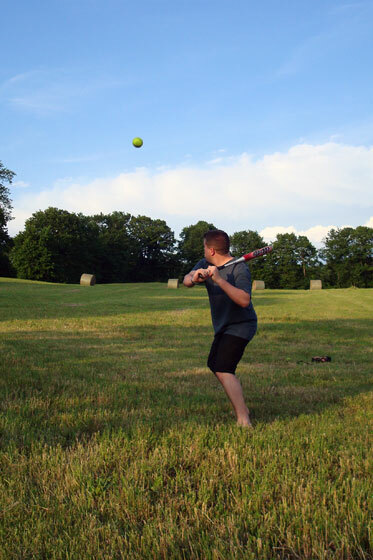 Batting practice in the hayfield is one of the joys of summer at the farm. 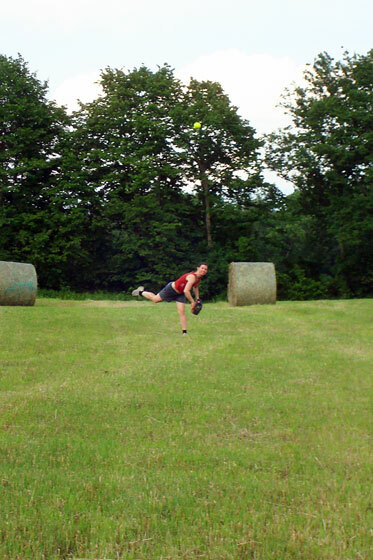 With a mowed field and no neighbour’s windows nearby, the farm takes baseball practice to a whole new level. Of course, with only two people and a big field, the pitcher/basewoman/outfielder gets a workout. Our baseball team plays tonight. We’ll see if all of our practice pays off. 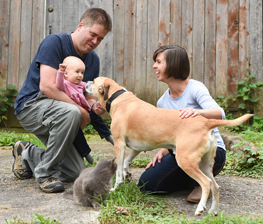 What’s your favourite summer sport? Baseball – hands down. Nothing feels more like spring/summer than baseball. As much as I love baseball, summer picnics sound much better.